Growing pressure on health services has led to a "state of unease" in the medical profession, a leading regulator has warned. A new report by the General Medical Council (GMC) also found there was a "dangerous level of alienation" felt by doctors in training. This has increased because of industrial action. 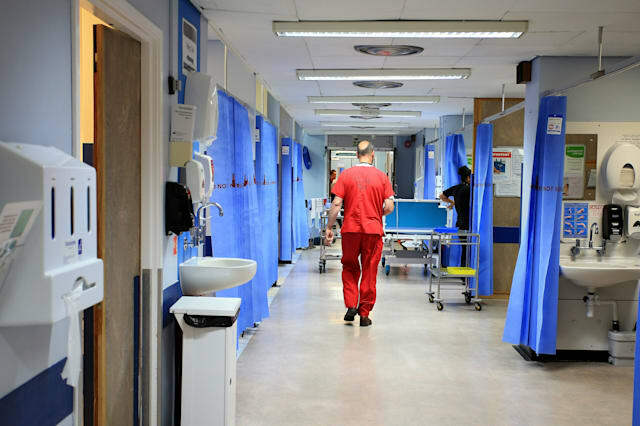 It highlights the "intense pressure" of £2 billion in hospital deficits alongside falling performance figures for access to A&E, planned operations and ambulance response times as having a negative impact on morale. Despite some bleak findings it stressed UK healthcare "remains among the best in the world" and the vast majority of doctors were not complained about to the GMC. Additionally, figures show women are edging closer to comprising half of all registered doctors and medicine is becoming more ethnically diverse as a profession. An NHS Employers spokesman welcomed the "insight the report gives into the huge financial and service pressures the NHS is under". The report says: "There appears to be a general acceptance that the system cannot simply go on as before - there does need to be early and concerted action. Everyone wants a health service that is efficient, effective and compassionate." The GMC sets regulations and standards, oversees medical education and training, and intervenes when doctors may be putting patient safety at risk. A Department of Health spokesman said: "The dedication and sheer hard work of our NHS doctors is absolutely crucial to delivering world-class care for patients." He added: "The Government is investing £10 billion to fund the NHS's own plan to transform services for the future - central to which is listening to the concerns of staff." The sixth annual report, The State Of Medical Education And Practice In The UK, was released on Thursday.